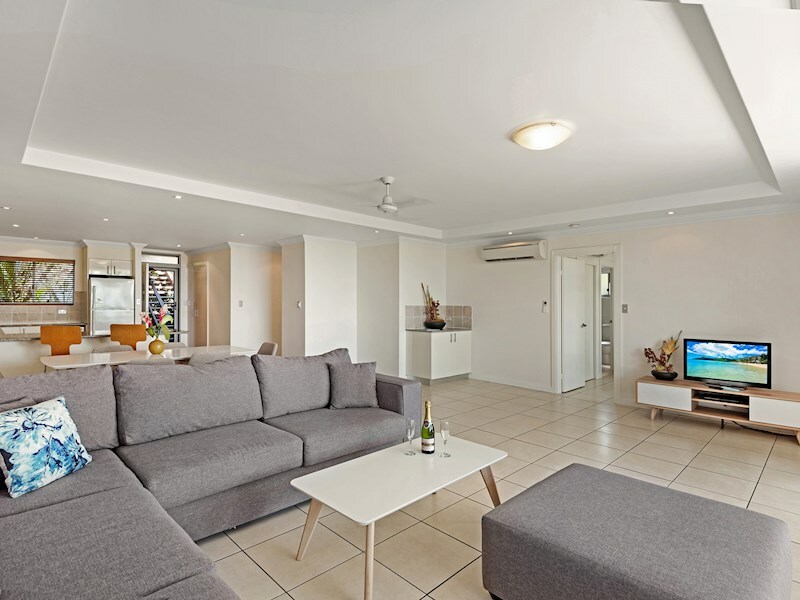 Spacious, family-friendly apartment with pool views. 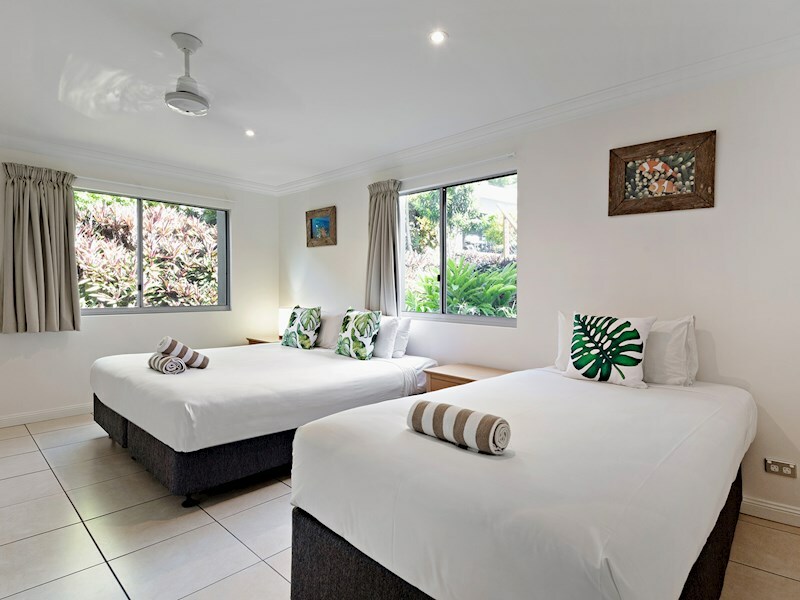 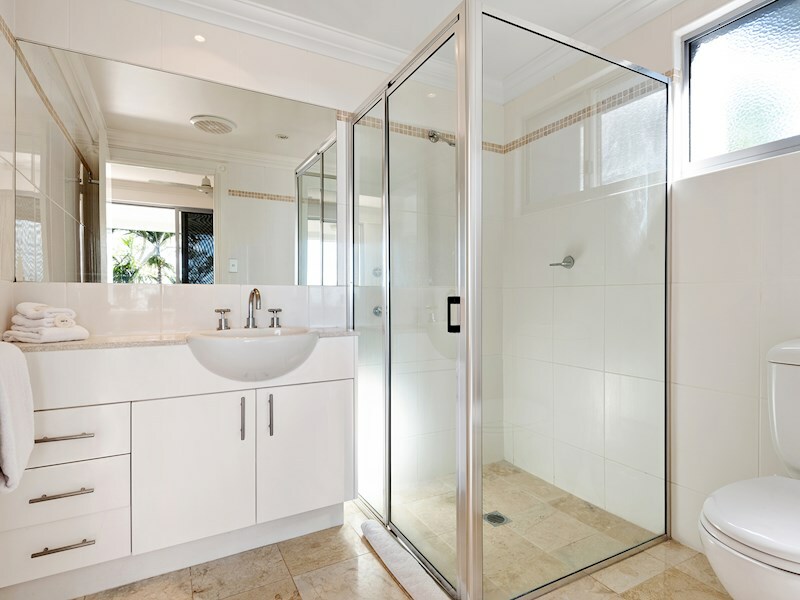 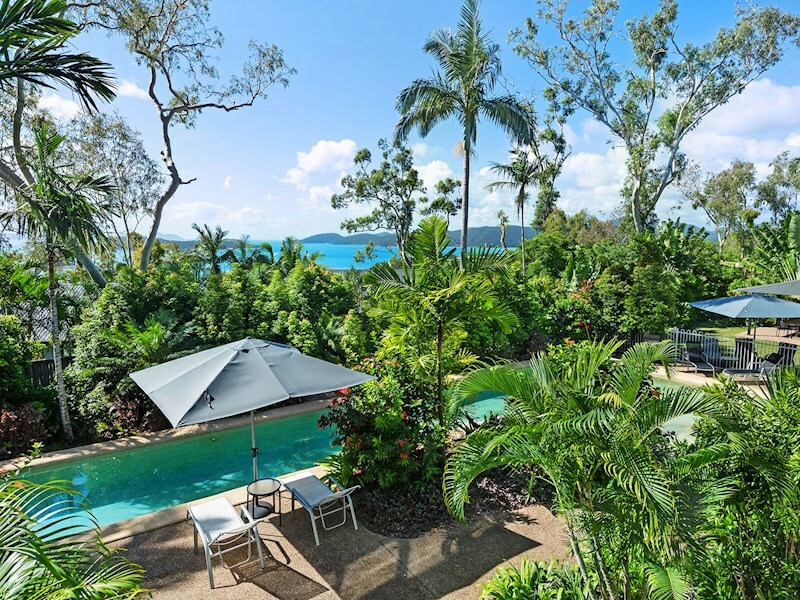 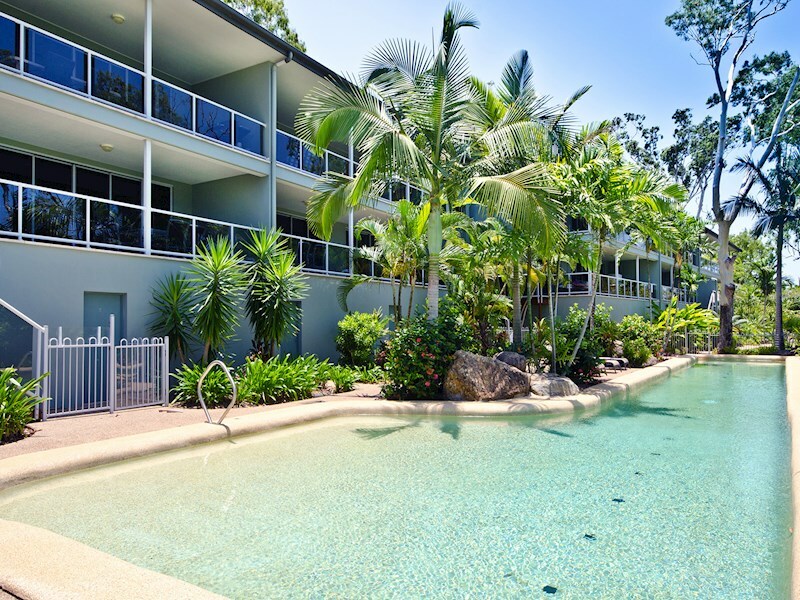 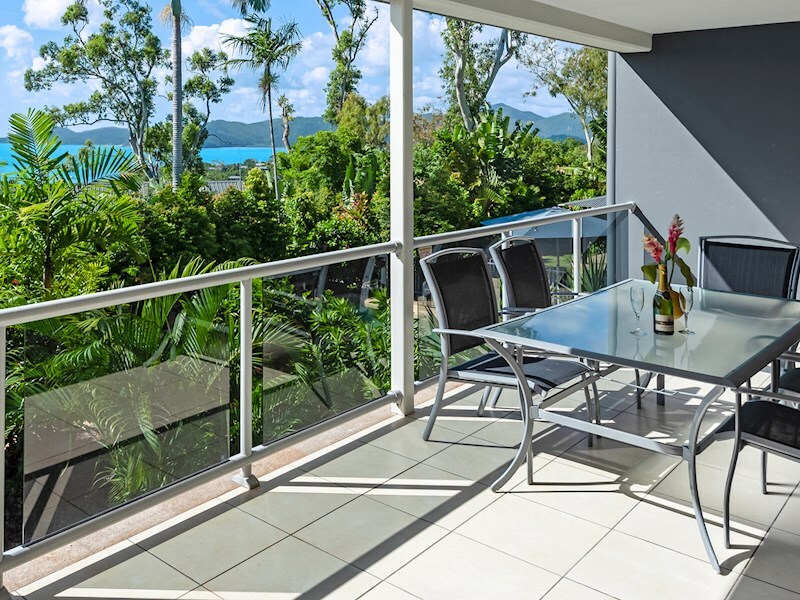 This two bedroom apartment offers views of the shared pool, garden and Whitsundays. 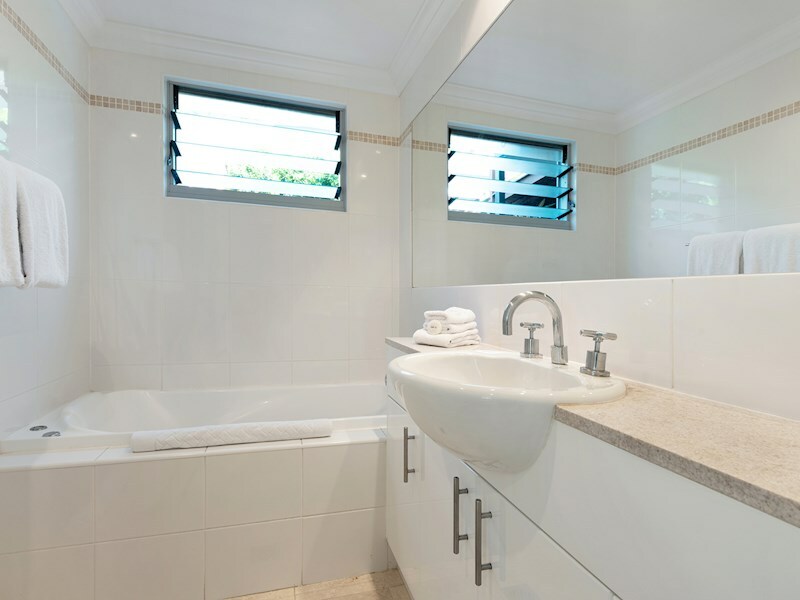 Flowing over a single level, it is an ideal option for families with young children. 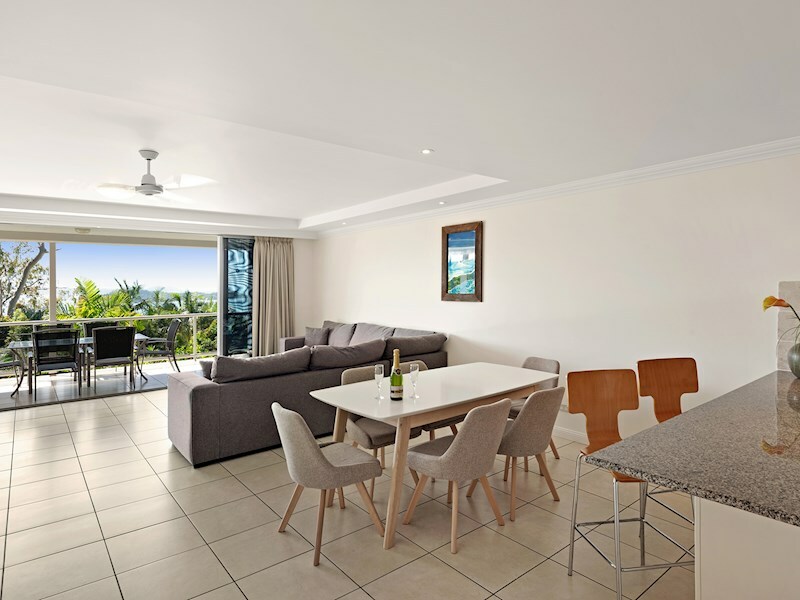 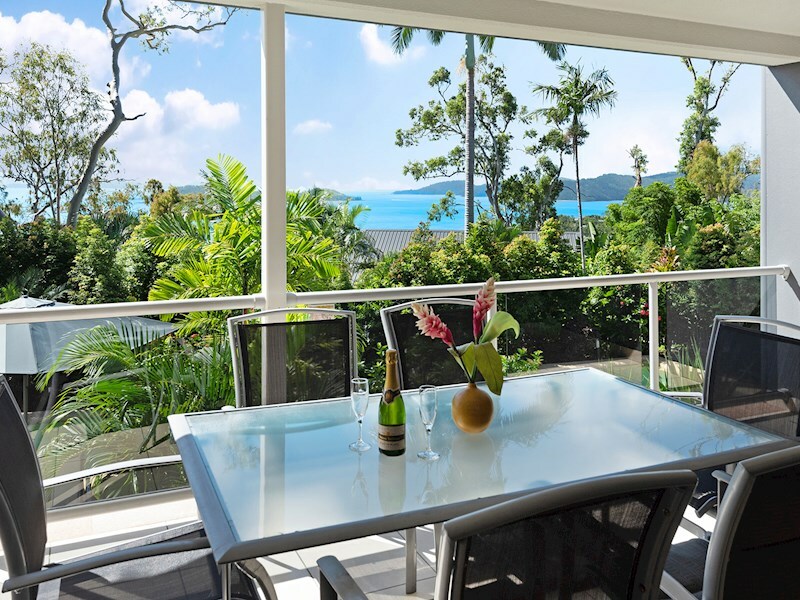 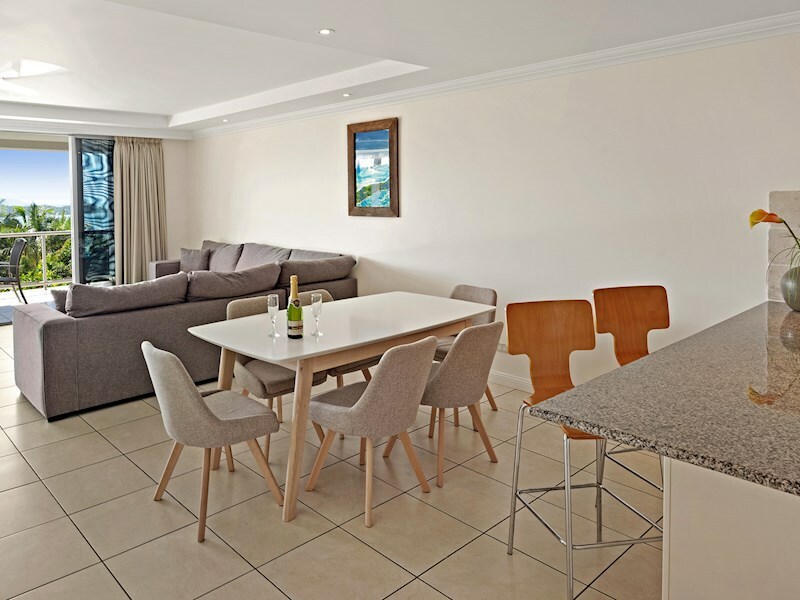 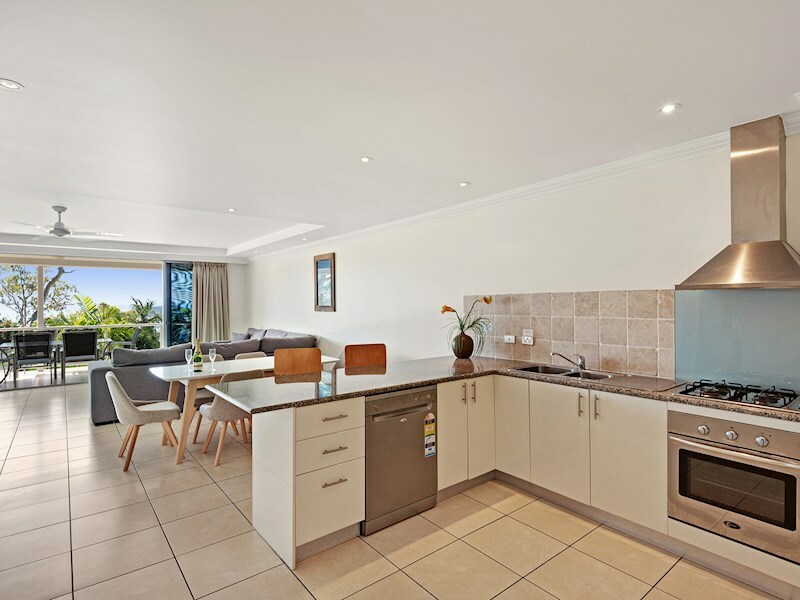 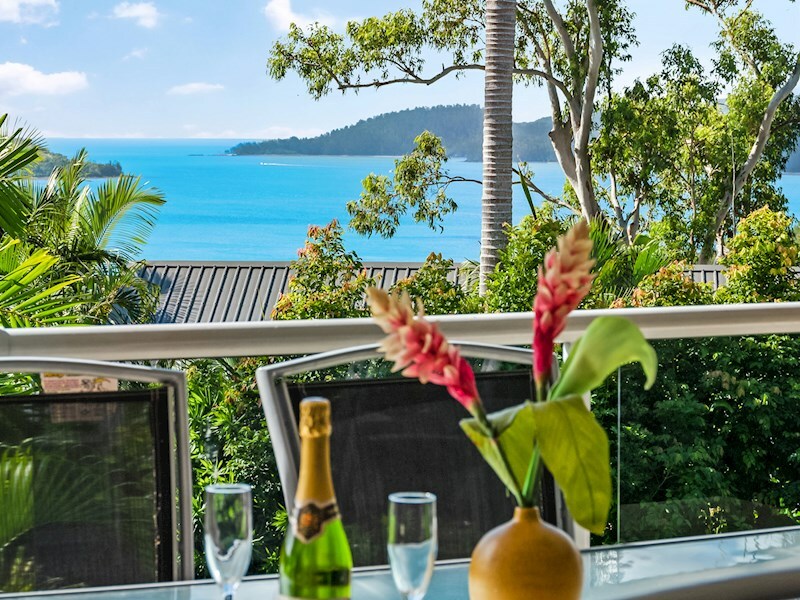 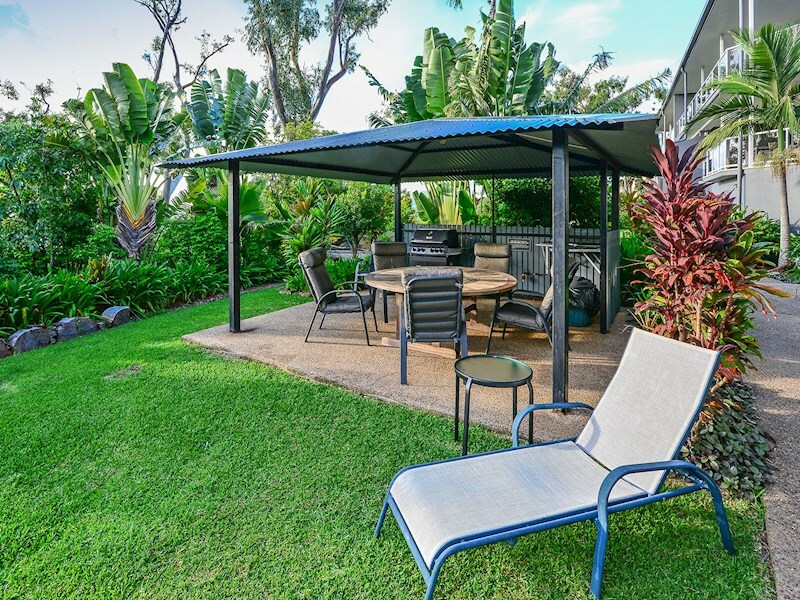 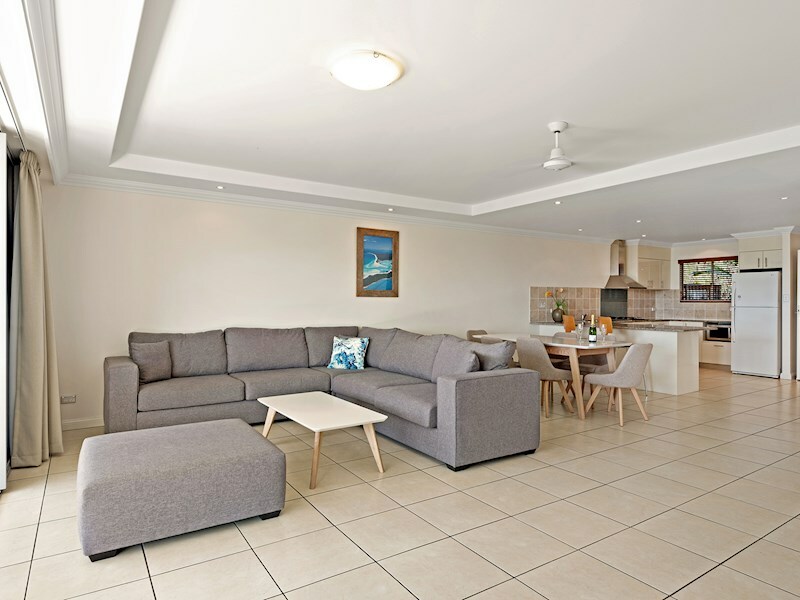 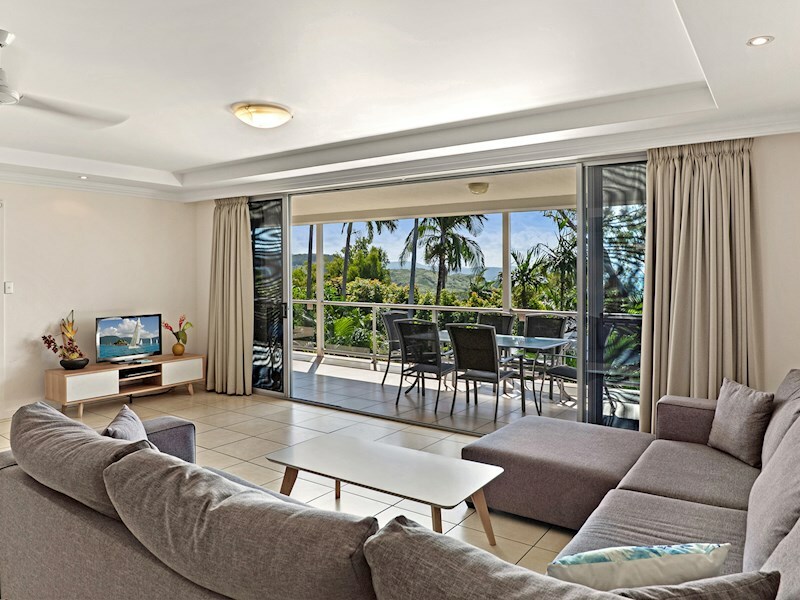 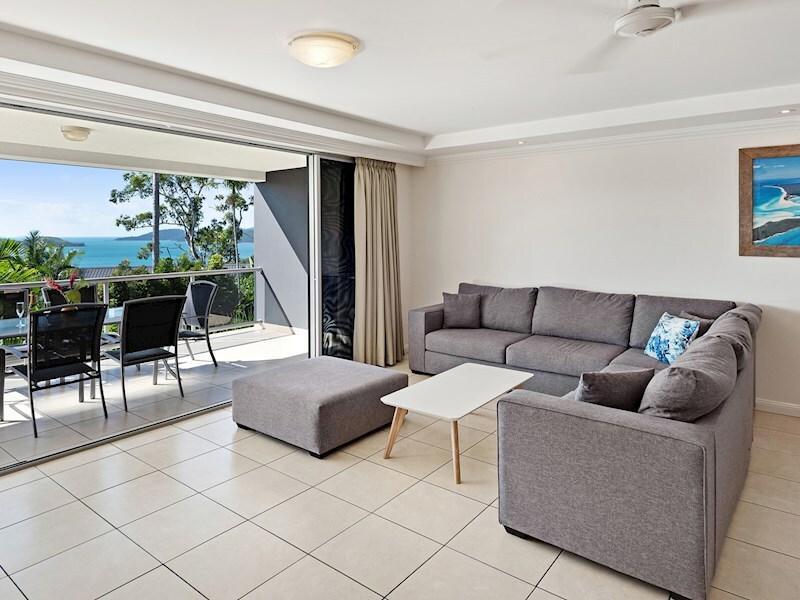 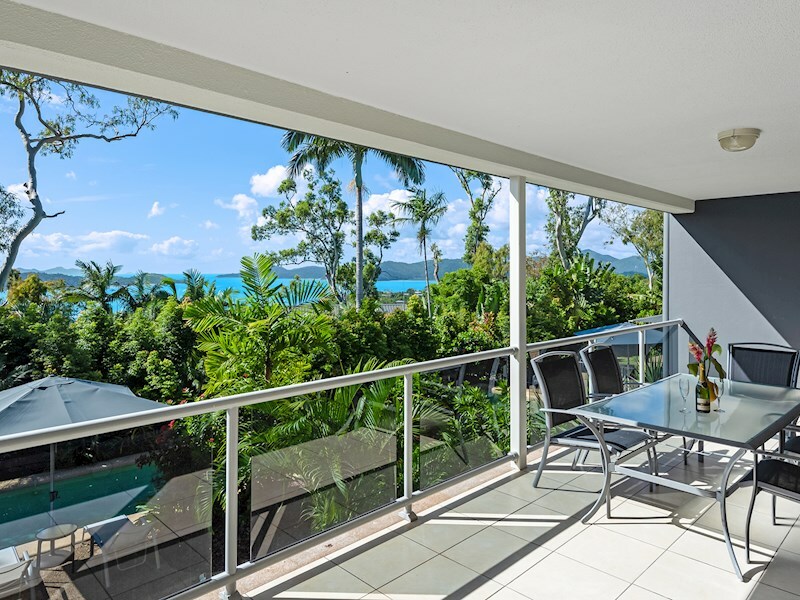 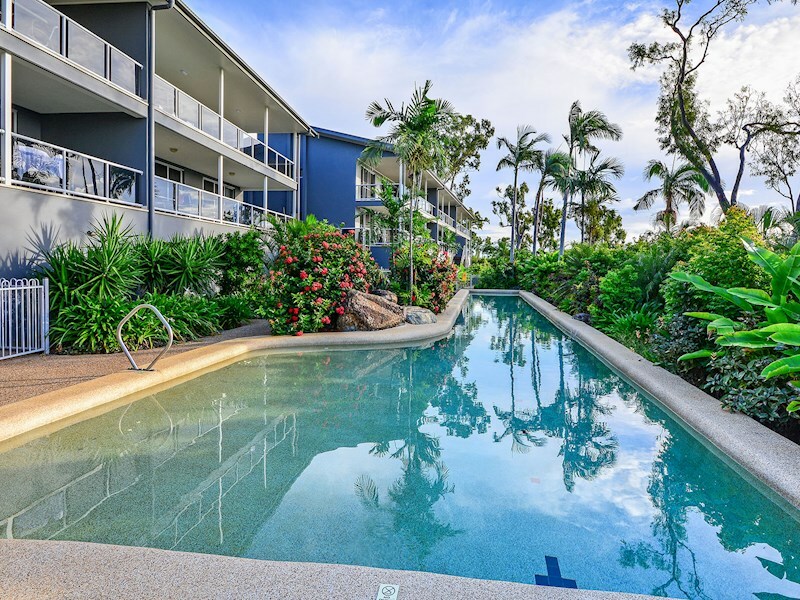 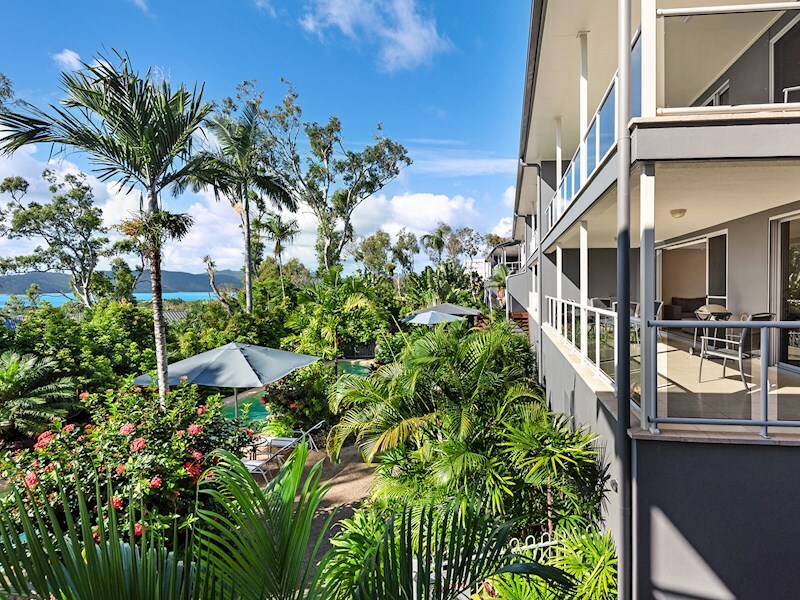 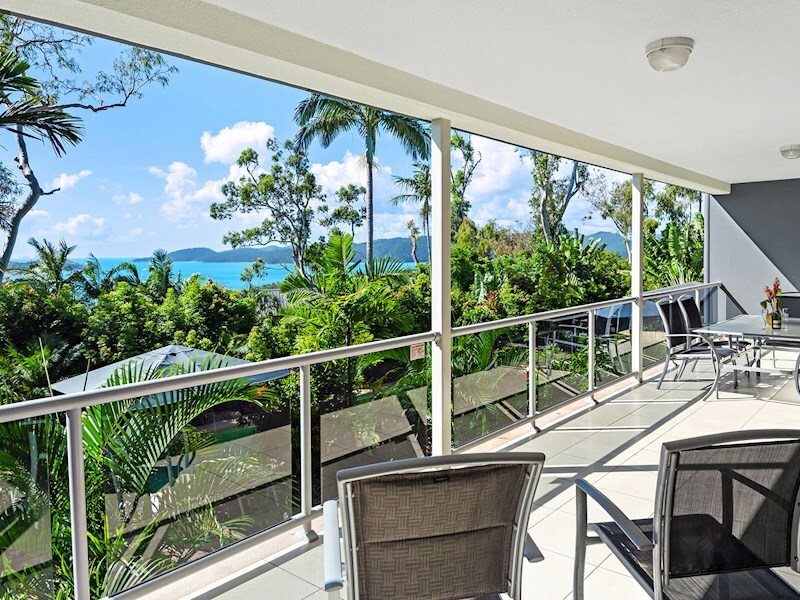 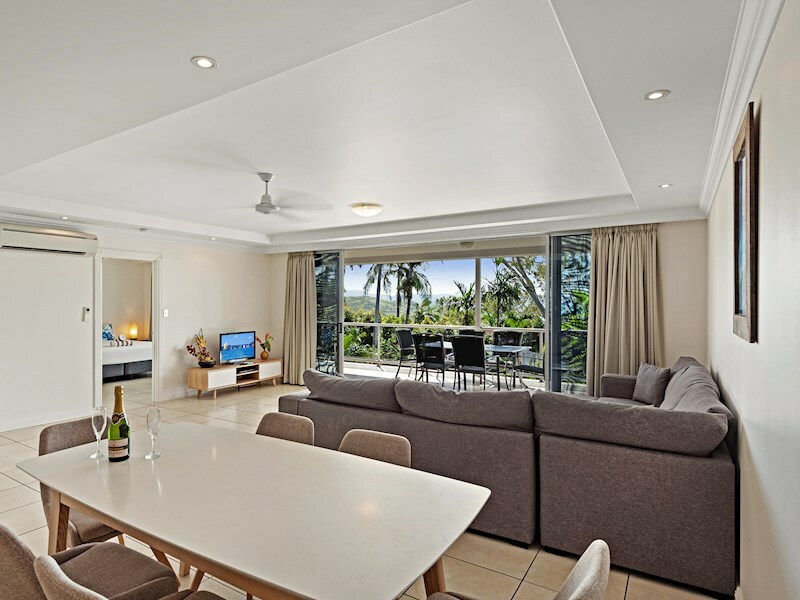 This apartment faces west, and offers beautiful views across the resort pool and gardens to the Whitsundays. The apartment opens onto a covered entertaining terrace with outdoor seating for six people, and looks over the complex's shared pool. 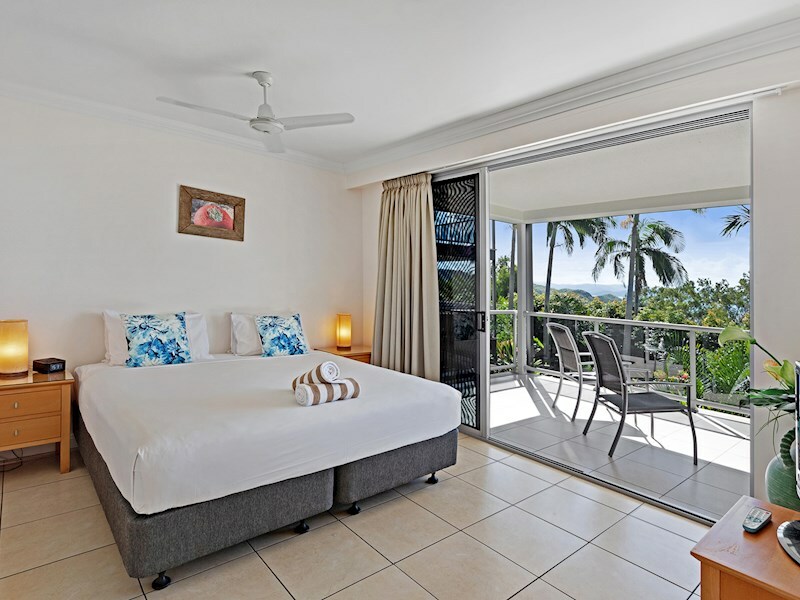 There are two bedrooms - both with king beds. 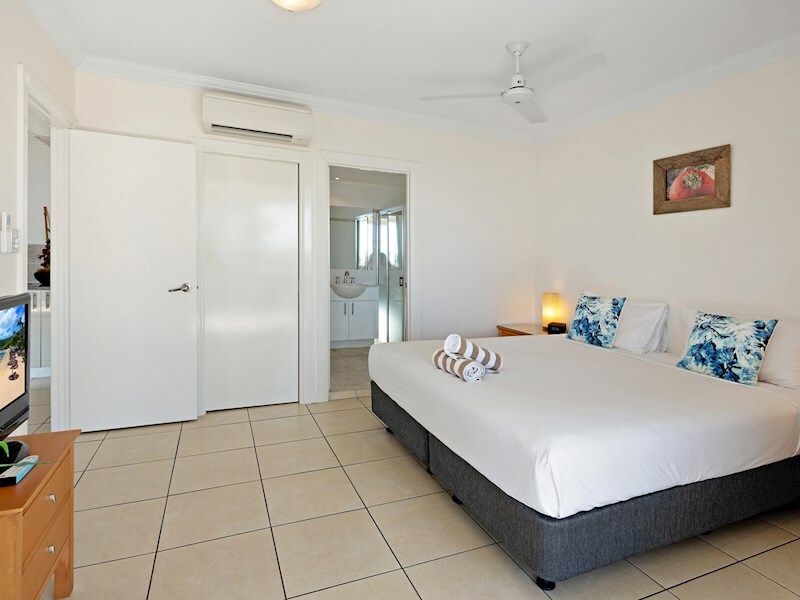 The second bedroom features two king beds, as well as a rollaway bed if required. 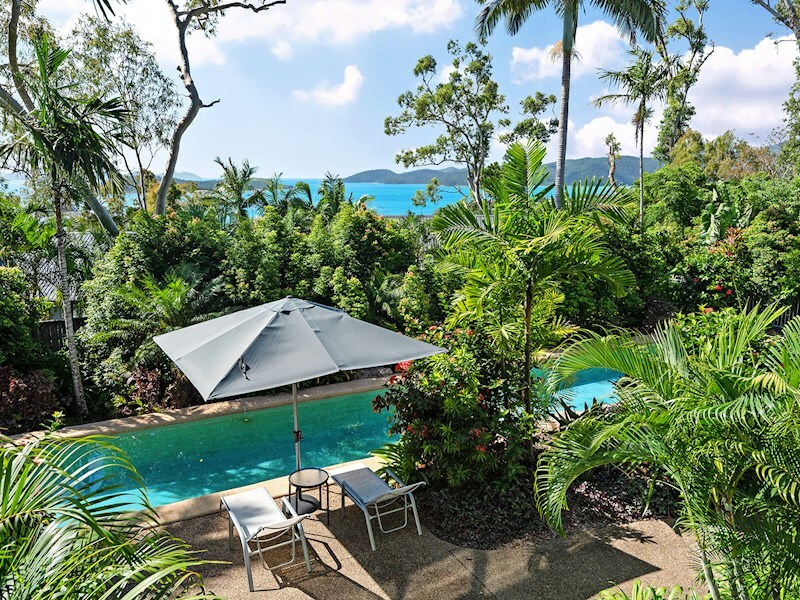 The apartment is just a short distance to Blue Water Views' sparkling shared pool, which is visible from the apartment. 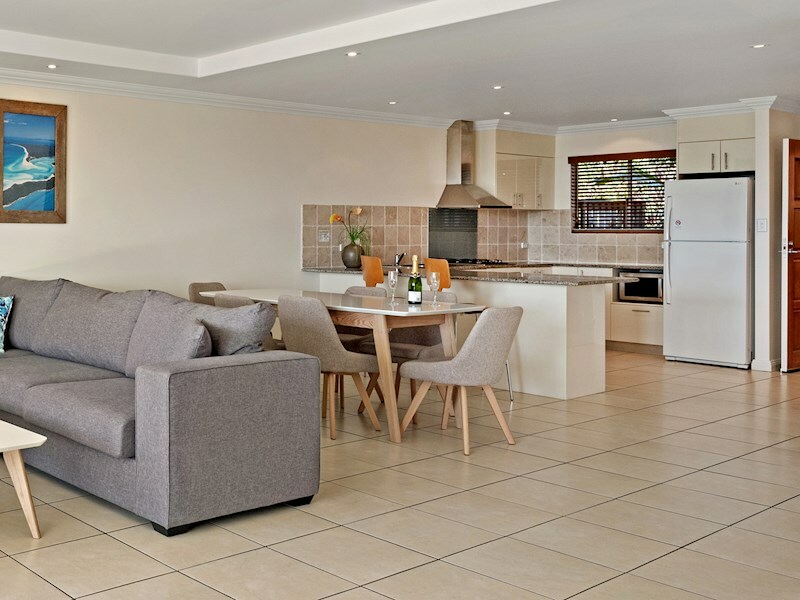 This apartment is spread over a single level, making it ideal for families with small children. 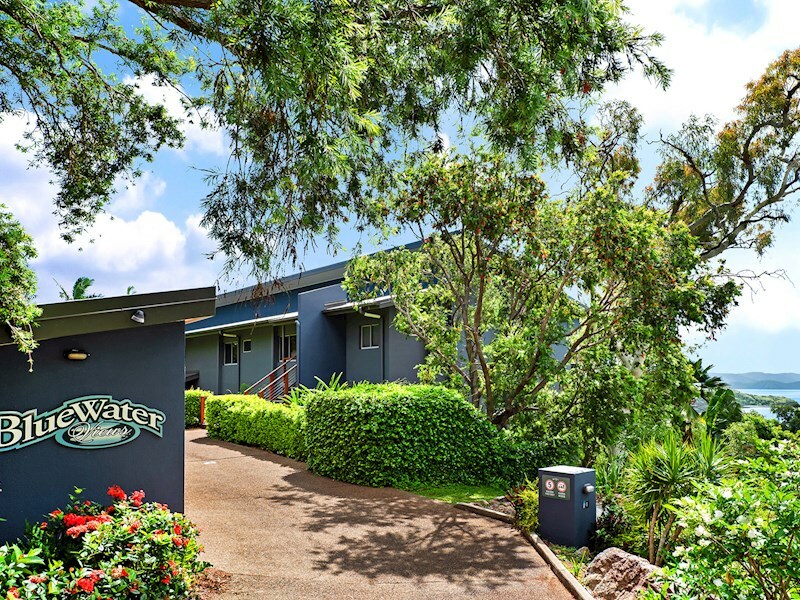 There are approximately 15 steps to the front door of the apartment. 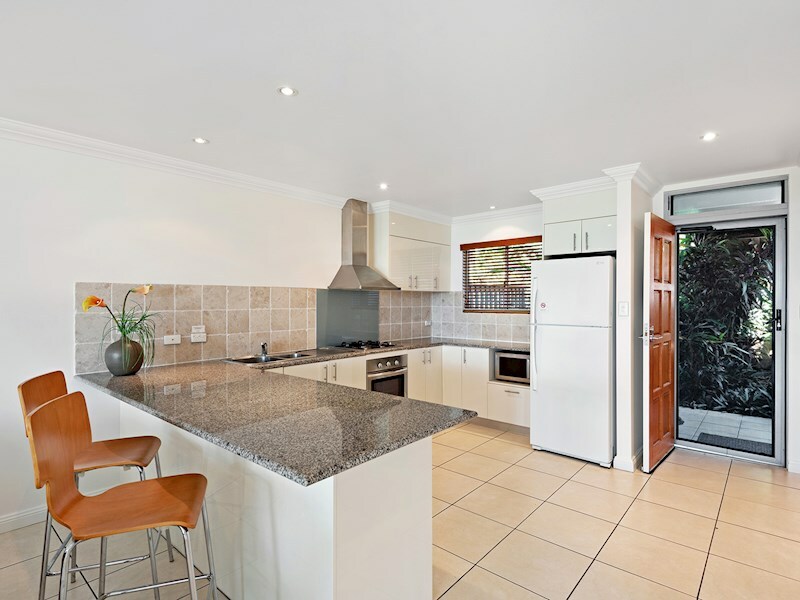 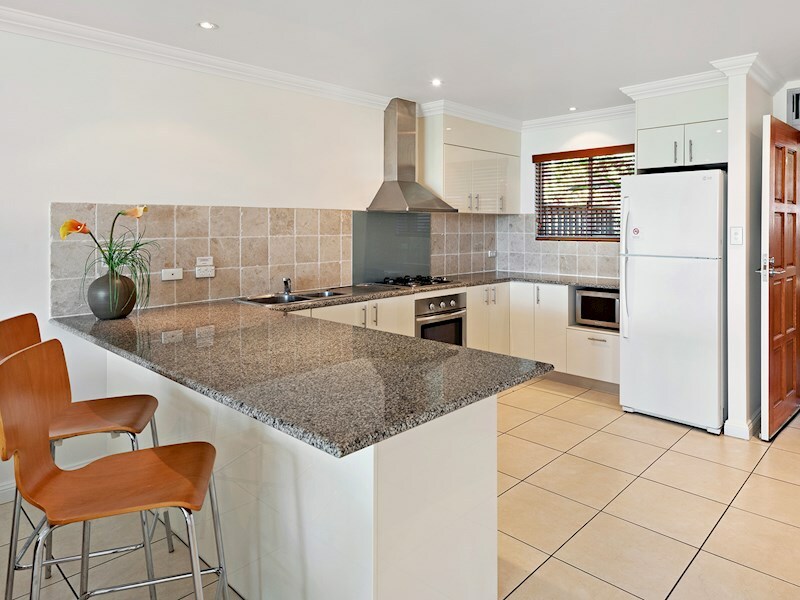 The open plan kitchen is fresh with stainless steel appliances, dishwasher and microwave. 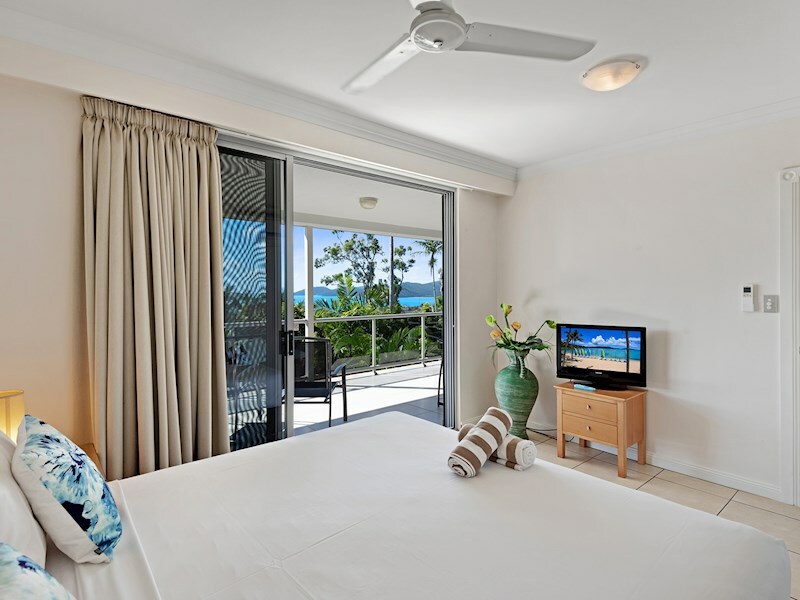 A rollaway bed can be provided for the second bedroom upon request.